1) Read data from an Excel file and Compare 2 Columns (One to One Binary Comparison). 2) Read data from an Excel file and Compare 2 Columns (One to One Textual Comparison). 3) Read data from an Excel file and Compare 2 Columns (Many to Many Textual Comparison). It is used to connect to a Database (any database). Note: Connection string only varies from one database to another. 1) Read data from a Database and perform Data Driven Testing for Login functionality. 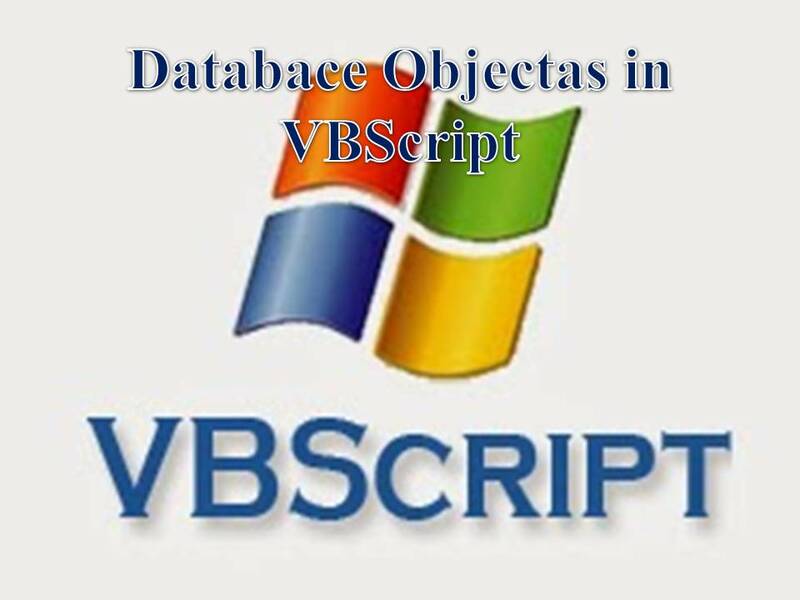 ‘Create Database recordset object, it is used to perform operations on Database Records. 2) Read data (Range of Records) from a Database and perform Data Driven Testing for Login functionality. 3) Export data from a database to an Excel file. 4) Export data from a database to a Text file. It is equalent to Associated Array in Perl Script. VBScript Vs Perl in case of Variables. In case of Arrays user can define values only, keys (Indexes) are pre-defined. In case of Associated Array/Dictionary object user can deine key, value pairs. We can use dictionary keys as Global variables.